Let’s increase the audience size and decrease the overall spend by integrating IoT applications in your business. Concept Validation & Prototype Development. Testing Usability, Compatibility, Data Integrity & Security. Home automation solutions built on top of the Internet of Things (IoT) technologies help to control home appliances automatically using various control system techniques right from your smartphones. These applications are cost effective, time efficient and convenient. Our advanced home automation solutions built using the latest Internet of Things (IoT) technologies use various techniques to control home appliances such as IoT based home automation over the cloud, home automation under WiFi through mobile apps from any smartphone, home automation by mobile application based remote control etc. Security is one of our top priorities when it comes to developing Home automation systems based on IoT. 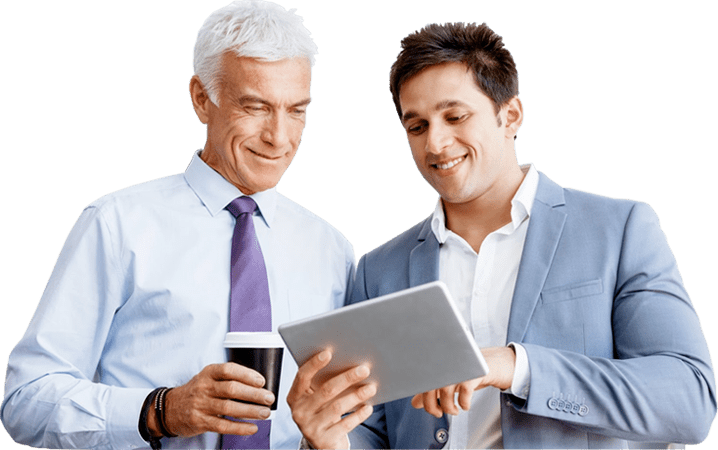 To achieve uncompromising security demands some of the key features we use are integrated secure elements, regular secure firmware updates, physical tamper detection, and end-to-end (device-to-cloud) IP security. What separates our IoT technology based home automation solutions from the rest of the pack is its simple installation and seamless interoperability across different manufacturers and wireless protocols. 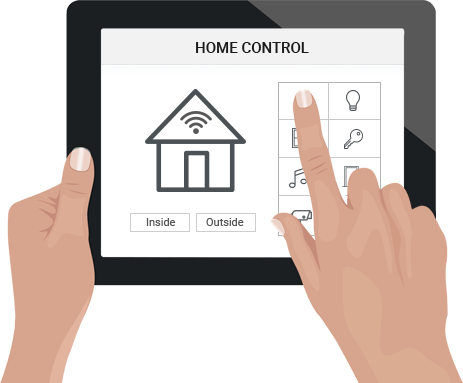 We take pride in our efforts to develop & offer home automation systems which are intuitive, scalable commissioning and can securely respond to evolving threats. By connecting your home security system with the our mobile application gives you an instant access to the live feeds from the security cameras installed in your home. This provides a venue for remotely monitoring your home & surroundings. Using the mobile application connected to our IoT Home automation solution you can turn on your air conditioning or heater to warm or cool your homes inside temperature and light up your house even before you reach home. 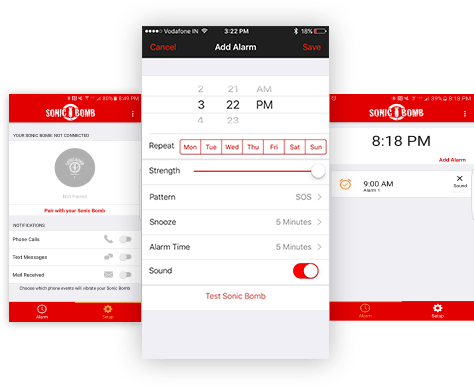 You can remotely lock down your entire house, turn off home appliances & lighting and turn on the home security systems right from your smartphone regardless whether you are at your home doorstep or at office. In the current world where connected healthcare is becoming a reality, Internet of Medical Things (IoMT) also known as Healthcare IoT plays a huge part in providing real time patient information. Our Healthcare IoT applications are created using set of medical devices which are equipped with Wi-Fi and connected to the healthcare IT systems. The data received from these Internet of Medical Things (IoMT) are stored in cloud platforms like AWS so doctors can monitor & analyse these as and when needed to provide best patient care. How to use healthcare IoT devices? Internet of Medical Things (IoMT) devices can be used in different ways. These Healthcare IoT applications can be setup to capture information through sensors or can be used as interactive devices which provide feedback to users and respond to their commands. To ensure data privacy our applications work on a series of different technology and cloud stacks which are regulatory compliant (HIPAA). Some key features we use to ensure security are integrating secure elements while creating the devices, regular secure firmware updates, physical tamper detection, end-to-end (device-to-cloud) IP security and encrypting data throughout the transfer & storage process. In an asset-intensive industry like engineering and construction, companies invest millions to acquire specialized machines like cranes, excavators, surface drills etc which are critical to completing jobs on time. Malfunctions to any of these heavy equipments could translate to downtime and delays. Here is where our IoT solutions come in handy. How Our IoT Applications Work? Our Internet of Things solutions for construction industry, collects various types of data like engine vibrations, machine hours, fuel consumption, GPS tracking and idle time to engine load, temperature, fluid pressure etc using various meters and sensors we have installed in the heavy equipments. By analyzing the real time data collected from the sensors installed and stored in cloud platforms like AWS as a part of our Internet of Things solution, technicians can create a complete picture of asset performance and schedule predictive maintenance for machines before they breakdown and reduce their down time. Our solutions also provides a real-time information pipeline which make the equipment monitoring from a central location possible. Below are some of the various IOT Projects our team have developed for various industries. 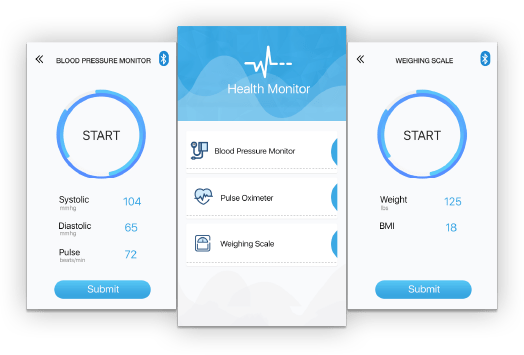 Healthcare IoT app collects data measured by various medical devices and store the body vitals in a cloud platform that is accessible to health care professionals (Doctors) as well as patients .It let you to track and share your vitals to help you stay on top of your health. Irregular Heartbeat Detector (IHD) to detect pulse irregularities. The app features are listed below. Collect, track, analyze and share your blood pressure record. Get reminded at the right time. 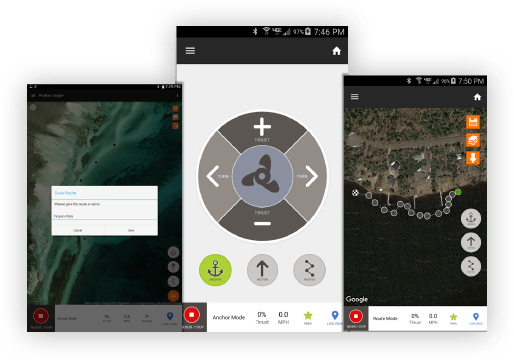 The app was developed for marine products company committed to providing fishermen with technologies to enhance the boating and fishing experience. Their products will help to have more productive fishing experiences. The mobile app is designed to unlock the potential of your bow-mounted trolling motor. It is an advanced, GPS-guided autopilot system for the bow-mounted trolling motor. It plugs directly into the motor and is controlled from smartphone or tablet. 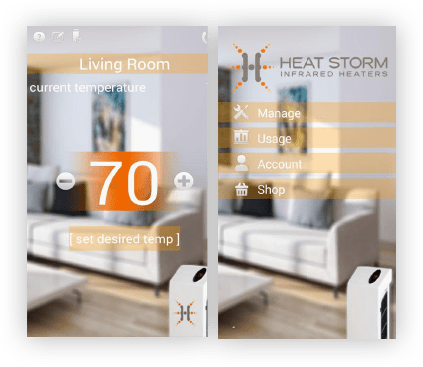 Heat Storm Mobile allows you to manage your infrared heaters anywhere, anytime using your mobile device. 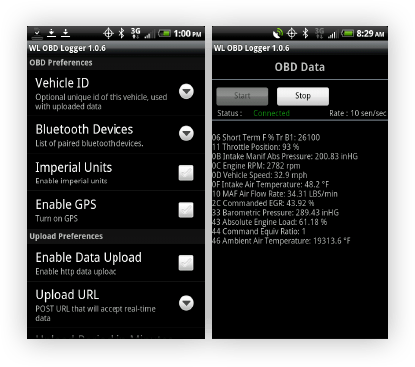 On Board Vehicle Data (OBD-II) reading from the Android device through bluetooth. 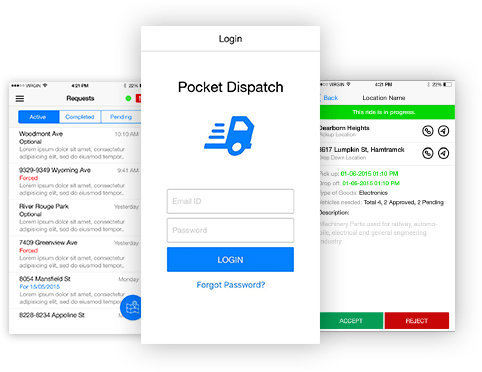 Pocket Dispatch(www.pocketdispatch.us)connectsDispatching Companies with drivers and clients.A streamlined dispatching system with fully automated process that improves client experience and driver efficiency. The mobile app connects ELD (electronics logging device) to the vehicle (Truck). Let us help you to improve your business process & improve the security of your workers by implementing IoT applications regardless of the industry you work for. Reach out to us by filling in the form & we will get back to you as soon as possible.